ICAI Introduces new system called as “Declaration/ Certificate of Service” for CA Student/ candidate who is appearing CA Final/ IPCC Examination May 2018 and Onwards. Hence CA Student scanned image of such certificate duly fill details, sign and need to upload while applying for the exam online. No Need To Send Such Exam Application form to Institute. it Looks like ICAI now Digitilizing its Operation. Note: As of Now Certificate of Service is not applicable to regular IPCC students i.e who not opted for Direct Entry Route. This Certificate of Service shall be signed be the Principal Chartered Accountant. Note: Candidates may note that uploading of Certificate of Service as applicable to them is a mandatory requirement. Download For whichever applicable and print in A4 paper. Reduce image size by (Scanned image Size should be 100 to 200 KB) using compression from Microsoft image viewer or Picasa or any other software. hence if your Registration No. starts with NRO, SRO, WRO, CRO or ERO then you just need to ignore that ‘Old Article Regn No Field’ and Just enter your regular Reg. No in the second column (New Unique Reg. Number). FAQ – Who is required to Upload Certificate of Service (COF)? Following are the table that who need to submit Certificate of Service online. CA Final candidates and Direct Entry candidates of Intermediate (IPC) route are required to scan and upload their Certificate of Service their Principal/s. Students undergoing last 6 Months of Articleship training are only required to submit the Certificate of Service their Principal only. Hallo. Thanks for your comment. Form: certificate Of Service – (For Intermediate and IPCC) applicable. I.e last form of final as above. Hi shiv sir..I sat in ca final exam for may 2017..And submitted a service declaration.nd since I have taken a termination it is still in process..And it will take few more days..From whom shall I get dis declaration done? I’m taking transfer on 10th Feb 2017. My final attempt is May’17 Who will sign my certificate of service completion? New principal or ask my old principal to sign it? in the certificate stated that “Mr./Ms____________________________________ is presently serving under me as an articled assistant /audit assistant” as you presently serving under new Principal, you need to sign by new principal. It’s not updated as of now that I’m registered under new principal. They will not raise any query regarding that? Probably no, As far I know and Also discuss with CA they said is not a major issue. if ICAI has some issue then they send you the letter regarding the issue and asked for such info to sent back. As you already submitted for transfer you can sign by new principal. if you want and it is possible to sign from old principal then you can do (may*better to write old date in such form i.e 9/2/2017 in CoS) and upload. ICAI never stop you to give Exam for normal issues. I did mistake in completion date of my articleship and uploaded certificate of service. Is there any remedy ? You already uploaded hence you cannot change. don’t worry, if ICAI see some problem then they send you to letter for the issue and asked you to send back form, with information asked in that form (may be before or after the exam). generally icai not see each and every application. but they see and find than they send you mail(letter to your address may before or after exam) regarding this and request you to submit form to their address. I had registered in IPCC through CPT route and i am pursuing articleship training. Do i need to upload Certificate of Service? If not, any kind of CA attestation required? Certificate of service only applicable to ca final and IPCC from direct entry student. As you from CPT route, certificate of service is not applicable to you. Also no need any kind of CA attestation. I have to give IPCC exam on may 2017 I had completed my articleship on 022/09/2016 so which form I had to scan and upload either CERTIFICATE OF SERVICE ( For candidates who have completed their Articleship )or or candidates who registered for/converted to Intermediate (IPC) course under the Direct Entry Scheme under the category graduates/post graduates and commenced articleship on or before 1st August, 2016 and can i take the signature of any practicing CA? Hi Thanks you for comment. “Certificate of Service Format for candidates who registered for/converted to Intermediate (IPC) course under the Direct Entry Scheme under the category Graduates/Post Graduates”(i.e 2nd as you said) sign by your principal. 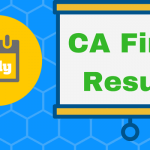 Note- Certificate of service only applicable to CA Final student and IPCC direct entry. While uploading certificate of service of Completion of articleship of CA Final , I have uploaded the letter received from ICAI i.e. Article Completion Letter instead of Format given on website. So now what to do ? Such things happens manytime while student apply for exam application, but ICAI never stop you for giving exam. at presently icai not issue any guidline for ‘what to do if wrongly uploaded certificate of service’. As far i know: After Revieving you application, ICAI Send you a letter that ‘you have wrongly uploaded Certificate of Service’ and asked you to provide such… with sign and sendback. you need to do whatever asked in letter and sent to ICAI(address given in icai letter). I have completed my 1 yr 6 month article ship and after that I got my transfer but till now hv not registered with another CA. There is a gap of 4months so how can I fill and upload service certificate Kindly help me on this. i did not fully understood your problem. as you said you taken transfer but not register with another ca that means you continue with old ca ?. as far i understand your concern, i think you can upload certificate of service sign by old principal. 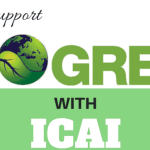 (Assume that you are from direct entry and applying for CA IPCC). My frnd has cleared cpt but didn’t clear ipcc so after graduation he converted into direct entry scheme but he has not started his articleship so while filling ipcc examination form is he required to submit certificate of service ? hay, Thanks for your comment..
see while applying for exam, if there is require for uploading certificate of service then you need to upload it, otherwise you not allowed to go next step i.e payment and conform. hence your friend converted to direct entry rout need to upload COS (if asked while applying for exam). may sign by principal whom your friend started/want to start articleship. because in certificate said “commenced practical training on or before 30th April, 2017”. as you not file 108, your articleship is not completed, means you currently service articleship training. My CA is not telling me my date of completion including extension. He just signed the certifate of service and told me that the date of completion is not necessary, so do upload it without the completion date. What is the remedy in this case? Date of completion is generally 3 years from starting your articleship. if your articleship start on 12/09/2013 then your date of completion of articleship is 11/09/2016. if you taken extention than date of completion is date writen in form 108 or date specifiying in letter receiving from ICAI regarding completion of articleship. you can also calculate i.e 11/09/2016 + no. of days extention teken. if you already uploaded than no need to worry. By any means ICAI can’t hold your admit card just because discrepency has crept in while filling the form. A member of ICAI can sign form because the eligibility for signing form is membership of ICAI not practice. I completed 1yr 4month articleship… nd on 11jan i taken termination for health issue. Now im going to Wright 2nd attemt of IPCC in may ….at this time im not doing articleship under any one after 3month only i can re-register with some one else . So wheither i can take in certificate of service ….sign with some other practicing CA?bcz my old principal was out of station. i don’t think you have more option. 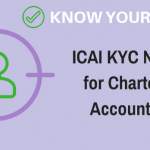 you may certified COS by other CA or Call ICAI helpline. By any means ICAI can’t hold your admit card just because discrepency has crept in while filling the form. My ca(principal)expired so i took transfer too but didnt join other firm yet in this case who shall attest my cos? Same Answer as stated to ABHI. You may sign by other CA or CALL ICAI Helpline. By any means ICAI can’t hold your admit card. I was unable to go at this time icai in my region…nd from morning im trying to call icai helpline but no response . For direct entry 9mth articleship is compulsory….I think main issue is wheither i completed 9mth of articleship training or not …nd in my 1st attempt i submitted my principal sign cos hard copy to institute. Nd at this time i taken from their termination too ..so it will not create any issue by taking sign with someother ca. generally icai not cross checking exam form or etc… even if they check and find wrong then they send you letter for submit/send such form etc. Thank you for good conversation. Have any feedback related to my website ? please tell me i am eagerly waiting for.. I fEel it gooD Work done by your sidE…on time I got thE reply..here we cAn clarify all our douts and to getting more usefull ArticlEs. What if there is an error made in certificate.? dont worry ! if there is error made in certificate. By any means ICAI can’t hold your admit card just because discrepency has crept in while filling the form. or certificate. generally they not hard cross check your exam application. even if they check and find wrong then they send you letter for submit/send such form to icai. you have to upload New Certificate of service. please ask me again if i unable to provide you satisfactory answer! hay, Thanks you for comment. see while applying for exam, if there is require for uploading certificate of service then you need to upload it, otherwise, you not allowed to go next step i.e payment and confirm. i assume that you giving CA Final Exam. than you need to upload “Certificate Of Service For Candidates Who Have Completed Their Articleship” and sign by your principal or other member. 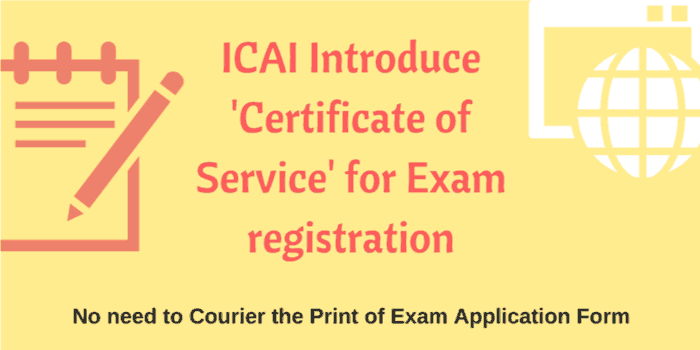 it noted that uploading certificate of service is only applicable to student who appering for CA FInal or CA ipcc student from Direct entry only. heyy…i have given my cpt fist attempt in december 2016 but didnt passes. so for jun 2017 i to have to upload certificate of declaration? Sir I completed my 9 month articleship training and I terminated I didn’t join in any other firm right now. I want to write the exam on Nov 2017. I want to know whose sign I need to gent Certificate of service? i have completed my 9 month articleship before 1 year and also terminated from that principal and copy send to icai but still now i didnt join articleship to another principal can i atesseted certificate of service by any member of icai? sir i have completed articles on august 2015 i have seen certificate of service format in that format there are no details about membership no.of principal/any other practicing chartered accountant details how could i get a signature from a CA whether there is any format for certificate of service for students who have completed their articles training ??? THANK YOU FOR THIS INFORMATION..WAS SEARCHING FOR THIS THING ONLY SINCE MORNING.. I am going to appear for CA FINAL in Nov 17 for the 1st time….. I will be serving last six months of my articleship as on 01/11/2017.My articles ends in Feb 2018.Which format of certificate of service will be applicable for me? i have completed my 9 month articleship before 1 year and also terminated from that principal and copy send to icai but still now i didnt join articleship to another principal can i atesseted certificate of service by any member of icai?please sir suggest me. i hear such issue for the first time, I recommended to take help from icai sahayana for such issue. as you completed 9 month articleship under old principal you may get sign from old principal. i think you cannot take sign from other member as in signature area clearly stated “Signature of Principal”. hence merely member cannot become your principal. best option is start article training under new principal [from the date of sign by new principle in such (whatever) documentation required for joining new principal after termination…such date will be considered] and get sign from new principal. no..you no need to atteste declaration from principal nor member…. I completed my articleship training in September, 2016. I submitted a scanned copy of certificate of service (dated 12-2-2017) attested by a Practicing Chartered Accountant for May 2017 exams. Since there is no change in format, can the same copy be submitted for November 2017 exams or a fresh certificate of service needs to be filled and attested by a Chartered Accountant? the fresh certificate of service needs to be filled “Signature of the Candidate only” hence no sign required by principal nor member. I have made an error in cetificate of service regarding date of completion but it is correctly entered in exam form What should I do? generally, they not hard cross check your exam application. even if they check and find wrong then they send you to letter for submit/send such form to icai. Just to clarify, so a student who has registered under direct entry scheme and has completed her/his articleship, need to fill and upload certificate of service – articleship completed form. and not certificate of service under direct entry scheme right?? Sir, my articleship is going to complete on 01.09.2017. Can I upload certificate of service who has completed articleship format ? As the format which is applicable for me is not signed by my principal and he is not going to sign my COS in future also. As the last date of filing of online application for Nov 17 exam is 1st September I am thinking that I shall upload COS who has completed articleship format. 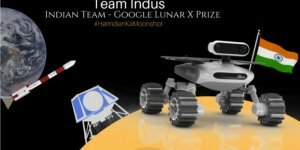 With this is there will be any problem in future? currently, the format of COS applicable to you is “Certificate Of Service For Candidates Who Are Going To Complete Their Articleship On Or Before 31st October 2017” CA Final. I ___________________________________ hereby certify that Mr./Ms ____________________________________ is presently serving under me as an articled assistant /audit assistant and his/her due date of completion (including excess leave if any) will be ____________________________________ i.e. on or before 31st October, 2017, as per deed of articles. that means you recently serving at the time of signing CoS.
in form “Certificate Of Service For Candidates Who Have Completed Their Articleship” said candidates who have completed their Articleship which you not completed. hence as per my opinion is you need upload “Certificate Of Service For Candidates Who Are Going To Complete Their Articleship On Or Before 31st October 2017” and sign required by your principal. if you have any problem with the current principal that they may not sign than i suggest you please call ICAI eShahayata..
then answer is if there is any problem arise due such form you uploaded (i.e Candidates Who Have Completed Their Articleship ) then, ICAI may simply send you the letter asking that you fill wrong form and ask you “to provide such required inf., sign (by candidate & principal) and send to provided address”..this letter may come before or after examination. however by any means ICAI not hold your examination. as per my opinion, you cannot upload the same certificate of service, you need to upload new CoS.
every CoS asking Date of signing. if the old certificate of service is allowed then, why ICAI asking you to upload it again. hence it required to upload new CoS.
My article ship will be completed on 3rd September 2017 but since I didn’t have much leave my principal had told me to work till 31st July 2017 only. But the last date to submit exam form for November 2017 is on 25th august. Which declaration form shall I choose? Shall I choose completion of article ship or completion of article ship before 31st October 2017 and get the same attested from my principal. hello there, thanks for your comment. yes, you need to upload “Certificate Of Service For Candidates Who Are Going To Complete Their Articleship On Or Before 31st October 2017” and get the same attested from my principal because your competition date consider is 3-09-2017, not 31st july. I’am intermediate student (Direct Entry) and I completed my articleship. Sir,should I get declaration of service attested from a Chartered Accountant for November 2017 exam registration. There is no column for seal and signature of Principal/Member in the form for candidates who completed their articleship. I had completed my article ship in 2015.I had appeared for may 17 ca final exam and then uploaded certificate of service. At that time the format included a section for member’s attestation.However now i have to appear once again but there is no section for member’s details in certificate of service. So is the certificate required to be attested by any CA for Nov 17 CA Final exam?? as you need to upload “Certificate Of Service For Candidates Who Have Completed Their Articleship”…. sir,my articleship will get completed by march 2018..do i need to submit certificate of service? if i need to submit, then by which form i need to submit? yes you need to submit a certificate of service. dont worry ! if ICAI see some problem then they send you to letter for the issue and asked you to provide such information (this letter may come before or after the exam). By any means ICAI can’t hold your admit card just because discrepency has crept in while filling the form. or certificate. Thanks I have also sent email of Scanned image of Certificate of Service. My articleship will get complete on 27th march 2018 and my extention period is 39 days till date so, that date will go beyong 30th april 2018 and i want to appear in nov 2017, so which COS form i suppose to fill??? such issue hear first time, so i request you please call ICAI e-shahayata. see while applying for exam, if there is require for uploading certificate of service then you need to upload it, otherwise, you not allowed to go next step i.e payment and conform. 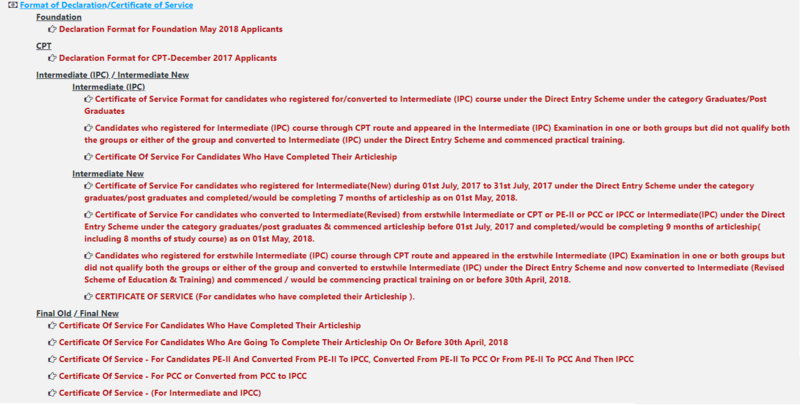 you need to submit “Certificate of Service Format for candidates who registered for/converted to Intermediate (IPC) course under the Direct Entry Scheme under the category Graduates/Post Graduates” from IPCC section. Hi…. 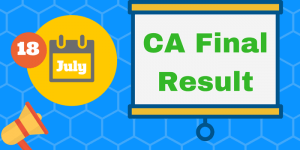 I completed my articles so may I get sign from member of ca or is it required to get only from practicing ca …. I am really very confused about getting attestation on Certificate of service format if you have completed articleship. I completed my articleship before 2 years. While filling the “Certificate of Service” form, there is only self declaration fields are given, as this time the format has changed. So still i need to take ICAI Member’s signature on that form? Because if I read the guidance note there it is still mention to take signature? Sir, i had completed my articleship in 2014. I have filled exam form for nov 17 ca final exams but i have uploaded certificate of service of may 17 format where member’s attestation was required and i got it attested this time and uploaded it but this time member’s attestation is not required. Kindly guide me regarding this to rectify this. My articleship was completed on 25 April 2017. However I had an extension which is going to be completed on 25 sep 2017. So which certificate of service shouldI fill. as per my opinion, you take extension, that means your articleship not completed and it shows you are currently serving under articleship. Hello sir my articleship is going to be complete within 3-4 days ..if I fill the exam form after my completion date which certificate of service is applicable to me ??? i assume that your article ship is going to be complete within 3-4 days including excess leaves. so as per my opinion, if you apply after articleship completion date i.e after 3-4 days (including excess leaves) than “Certificate Of Service For Candidates Who Have Completed Their Articleship” apply to you. the word ‘presently serving under me’ means at the time of signing a certificate of service. so if you apply after 3-4 days i.e your articleship completion date (including excess leaves) than this form not apply as at that time you are not serving under him. sorry, but i didn’t understand bcz of lack of inf. you provided. is this related to Certificate of service or other? I am an IPCC student (not direct entry) and have completed my articleship. I had kept the scanned copy of COS ready to upload it but while applying for the Nov 17 exam I did not see any option to upload the same. Where do we have to upload it?? Since I have completed my articleship, it was not necessary to submit COS for May 17 exam but now it is required for Nov 17 exam, but as I said there was no option provided to upload it. as you are not direct entry student and giving IPCC Exam….certificate of service not applicable to you. COS only applicable to IPCC student from direct entry (also who converted from PCC/IPCC to direct entry etc) and CA Final student. so as per my opinion, as your articleship completed, “Certificate Of Service For Candidates Who Have Completed Their Articleship” applicable to you. i think you are from CPT rout not from direct entry. uploading form is required only for direct entry student, thats why option of ulpoading form is not shows. I have completed my articleship 2 years back.. So do I hv to submit certificate of service ? If yes, do I hv to take take principal’s sign ? I have completed 1.5 years of articleship n took termination.. its still in process n not yet got approval from the institute.. i want to give november 2017 attempt.. so can i take sign of my previous principal on certificate of service..? or is there any other way regarding these problm .. please help..
is presently serving / has served under me as articled assistant and completed or will be completing 9 months of articled training as on 1st November, 2017.
there written “is presently serving / has served under me as articled assistant and completed” that means may you corrently serving under new principal,…..
Hi, I have completed article and when I download COS for completed article there is just candidate signature and no place for sign for CA. Before in that COS there was other paragraph as well. Do I need to arrest still or just self attested. this is self declaration, as ICAI not asked for member attested then it not required… in other form they clearly mention. Sir, my articleship is extending beyond October ,31,2017. I am appearing for the Nov-2017 exam as second attempt.Which Cos form should I choose? For candidates who are presently in service, serving the last six months of training as on 1st November, 2017 and due to complete 3 years of training (including excess leave,if any) on or before 30th April, 2018.
there said including excess leaves.. I did not attest the decleration from any Member and uploaded the form. Do I need to get it attested by a member ? Further is only declaration by student below is required ? which states”….I will be commencing before 31st Oct 2017 “.But what if i am not sure under whom i will be doing articleship? sorry, but such issue hears first time, so i request you please call ICAI e-shahayata. you said ‘registerd in articleship through direct entry CPT route’ i did’t understand properly..is this is direct entry or CPT. in above you said you register for articleship and after that you said you are not register with any CA and your ‘i have to get registered for articleship’ .. I got registered for articleship on 30-1-2016 under direct entry scheme and got transferred on 28-1-2017 .. so if I get the sigh of old principal for certificate of service and upload .. will it be any issue regarding this ? as you presently serving under new principal, sign of new principal required. I am serving my articleship extension period under another CA and it will be competing before 31st Oct 2017 and I do have my attempt due in nov ’17 . What details should be filled in exam form under articleship details column ? What should be initial date of commencement of articleship i.e date of commencement of extension of articleship or any other date ?? And do I need to submit certificate of service? sir, i have wrongly uploaded my may 2017 declaration certificate.i have already submitted my application form. please suggest me what to do? is my application form still valid or is it going to get rejected? i have also sent a mail to icai regarding the same. Sir, In certificate of service for those who completed articleship, i have not declared in the certificate that the image uploaded pertains to Nov -17 exam. Is it necessary to mention it on the certificate before uploading. Pls suggest what I’m required to do. can you explay? i didn’t get it…. what you have not declared in certificate of service? whatever even i understood, is there is any mistake in uploading certificate of service, icai Does not hold your admit card. My articleship was completed and I submitted the form also. I applied for CA final November 2017 attempt by giving COS as articleship completed. Yesterday I received letter from ICAI stating that I have excess leave. What should I do? Will I be able to write in November? I’m registered in direct entry old scheme and completed articleship also, I’m not passing any group now I’m thinking convert for new scheme please suggest old or new scheme which scheme is better. My articalship completion date is 3.3.2018 (excluding extention period ) and my 1st attempt for final is in may 2018 (old course) and after giving my exams in may i am going to register for my extention period of traning with diff principal. So can you please guid me through the current process? Thanx in advance. Sir, I am a Direct Entry student. My IPCC first attempt was in Nov 2017, and now in May 2018 will be my second attempt. So while filling the form do I need to attach Certificate of Service again? If yes, then can I attach the old Certificate of Service form or I need to download a new form again and get it attested? COS form needs to be attached every time we fill our exam form?